Every year, Congress is required to pass legislation to determine funding levels for federal agencies for the upcoming fiscal year. It is through such ‘appropriations’ legislation that the annual budget for the National Institutes of Health (NIH) is established. The fiscal year (FY) runs from the beginning of October to the end of September the following year, meaning that FY2018 starts next week. ASHG joined the Rally for Medical Research this month to advocate for increased NIH funding. Congress has not been able to complete its FY2018 appropriations work, and will not be able to do so by the time the new fiscal year starts next week. To address this, Congress has passed a stopgap ‘Continuing Resolution’, or CR, that continues to provide funding for government agencies until December 8. Essentially, it means that, for the time being, the NIH and other government agencies will continue to operate at approximately the same budget levels as for FY2017. The CR buys extra time for the U.S. House of Representatives and Senate to finalize the FY2018 budget. While it is difficult to predict what NIH’s budget will be, there are encouraging signs of bipartisan support to increase its budget from its FY2017 level of $34.1 billion. The House has approved legislation that includes a $1.1 billion increase; over in the Senate, the Committee on Appropriations has crafted legislation that would give NIH a $2 billion increase. These actions by Congress are in stark contrast to the proposal of President Trump’s administration, which is for an unprecedented cut of $7.2 billion. ASHG recognizes that we need robust, predictable, sustainable federal funding of biomedical research to fuel scientific advances, and is supporting the $2 billion increase proposed by the Senate. Earlier this month, the Society joined many other scientific and patient advocacy organizations in the Rally for Medical Research, a Capitol Hill Day event to advocate for continued NIH funding and, in particular, this $2 billion increase. 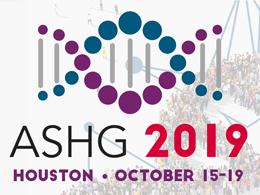 As a member of the Federation of American Societies for Experimental Biology (FASEB), ASHG is also partnering with other FASEB member societies to advocate for a funding increase this year. We’ll provide an update when Congress finalizes NIH’s FY2018 budget. In the meantime, I am excited to share that ASHG is currently building a new online Advocacy Center, which will help you speak out and contact your members of Congress about NIH funding and other issues of concern to Society members. More on that to come soon! Derek Scholes, PhD, is Director of Science Policy at ASHG. Learn more about ASHG activities in genetics policy and advocacy on our website.